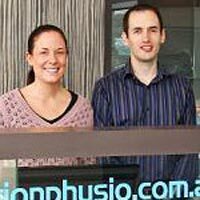 As a start up Physiotherapy practice that has been open for almost 2 years. We were really struggling to book enough patients each week and could barely meet our overheads. We were very wary of spending additional money on consultancy fees. But we decided to complete the online audit provided by Ideal Practice. The Audit showed us what we needed to do. Then we got started and together with the support we have received from Anthony at Ideal Practice we have doubled our patient numbers in one month! We are so excited and can hardly believe what we have managed to achieve in such a short period of time. We can’t thank Anthony enough for all of his support, encouragement and mentoring so far. We are so much more optimistic about the future of our business and we look forward to seeing where we will be by the end of the year!